REIKI is a natural and highly effective method of maintaining health and harmony in life, used by millions of lay people and health care practitioners throughout the world. It works by means of a harmonizing, nurturing energy that radiates from the hands. A person who has REIKI is able to use this limitless energy on oneself and others with immense benefits to health, well-being and personal growth. The existence of this all-pervading life force energy has been known to many cultures since ancient times. 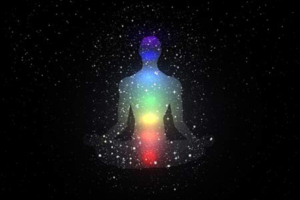 Throughout the years, many systems have evolved to tap this energy for man’s benefit, and REIKI is by far one of the simplest and most effective. REIKI’s origins are ancient, but its techniques were re-discovered in the 19th century in some early Sanskrit manuscripts in Japan. The system was then introduced to the West in the 1940s. Today, Reiki has spread all over the world thanks to its high degree of effectiveness. REIKI acts towards restoring natural balance and harmony of the whole person by working holistically on all levels of one’s being, including the physical, mental and emotional levels. REIKI always seeks to harmonize the root cause of a disorder rather than simply treating the symptom. How Do You Apply Reiki? During a treatment, REIKI energy radiates from the practitioner’s hands which are placed gently on or just above the body. Reiki is different from massage, and the hands remain still during a treatment. The REIKI energy flows automatically without any effort, and it can be applied through clothing and even plaster casts. During REIKI treatments, people usually experience a deep and enjoyable state of relaxation where the mind calms down and a feeling of well-being is experienced. This helps to de-stress the body and reduce tension, leading to an increase in vitality. REIKI helps to accelerate the body’s healing processes by promoting the regeneration of tissue and strengthening the immune system. This enhances the body’s ability to resist disease and to recover faster, including a quicker repair of injuries such as bruises, cuts, burns, sprains and fractures. REIKI is a superb first-aid kit that will always be with you wherever you go. REIKI also helps to alleviate common problems such as headaches, migraines, arthritis, flu and asthma, as well as emotional disorders such as anxiety and insomnia. It also reduces the side effects of drugs. REIKI is an excellent tool for personal development as it expands awareness and intuition. It also puts one in touch with self-love, thus enhancing self-esteem. You will find that REIKI improves the quality of your life in so many ways. REIKI is completely safe, and can be practiced by anyone regardless of age, health or belief. Once you have taken REIKI during a workshop, you have it for life. It never runs out, and there is no limit to how much you can treat yourself or others. A REIKI treatment is a pleasant, relaxing experience for both giver and receiver. Giving REIKI is an invigorating experience and does not deplete you in any way. You can use REIKI to effectively treat pets and to boost the growth of plants. REIKI is not a substitute for medical treatment, it works alongside all kinds of conventional and complementary therapies, enhancing their benefits. REIKI helps to maintain overall health and promote your body’s ability to heal itself. REIKI is not connected to any religion or sect and does not contradict the individual’s belief. REIKI has been successfully introduced into many health centers and institutions in Europe and the United States as an effective part of their complementary health programs. How Can I Get Reiki? The only way to have REIKI for life is to attend a REIKI workshop and be attuned to the energy by a qualified Master. You will then have the ability for the rest of your life to radiate this energy from your hands, and use it on yourself and others. The 2-day workshop also covers topics such as the body’s energy system, the nature of REIKI and its application in daily life. Extensive hands-on training is given. First Degree is complete in itself and requires no previous experience or specific level of education. After having experienced REIKI in your life, you may wish to move on to Second Degree. In this advanced seminar, you will learn to send REIKI at a distance and to treat several people at once. Other benefits are a strengthening of your REIKI energy, an enhancement of personal growth, intuition, protection and highly effective methods of harmonizing deep-seated emotional imbalances. Third Degree represents a quantum leap in personal growth and a significant enhancement of the practitioner’s abilities. Individual training in accordance with the highly professional standards of an international organization of Master Teachers for practitioners who wish to become REIKI Masters. 2014 Jan : Integrative Reiki for cancer patients: a program evaluation. Author information: University of Pennsylvania, Philadelphia, PA, USA. 2011 Dec: Benefits of Reiki therapy for a severely neutropenic patient with associated influences on a true random number generator. 2010 July: Effects of Reiki on anxiety, depression, pain and physiological factors in community –dwelling older adults. 2008 May: Reiki Improves heart rate homeostasis in laboratory rats. 2007 March: Pilot crossover trial of Reiki versus rest for treating cancer-related fatigue. 2006 Jan-Feb: In vitro effect of Reiki treatment on bacterial cultures: Role of experimental context and practitioner well being. 2001 Feb: Biological correlates of Reiki Touch (sm) healing.